Description: Ultimate Spider Hero game was designed for real heroes! Your mission is to help poor residents of the Metropolis and to save them from the terrible monsters. Move forward to fight your enemies and try not to fall! Countless Steam achievements for you to collect! Make your way through the endless labyrinths of long, confusing city streets together with your favorite hero from countless movies and cartoons! Although this may look simple enough, things are not as easy as they seem. You will have to learn how to cling into houses properly using your web, otherwise you will fall to your demise. 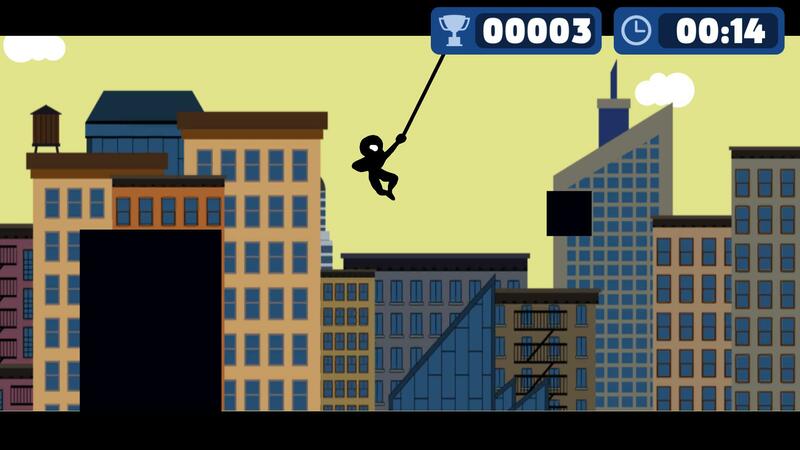 If you manage to do so - you will become a real superhero, armed with elusiveness, agility and speed and the ability to tirelessly swing across the rooftops and between the huge skyscrapers this urban landscape has to offer in this thrilling game of a super spider. It's fun, the visuals are magnificent and the controls are simple!